11936 Se Birkdale Run Tequesta, Fl 33469 has been sold. 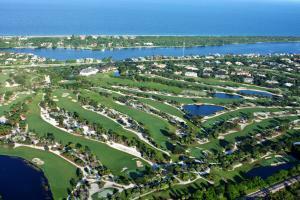 You can view available homes in Jupiter Hills. THIS IS THE LARGEST TOWNHOME IN JUPITER HILLS WITH VOLUME CEILINGS,PROFESSIONALLY DECORATED 4 BEDROOM HOME WITH SEPARATE GUEST HOUSE, POOL, OUTDOOR KITCHEN & PRIVATE COURTYARD. LARGE DOWNSTAIRS MASTER OPENING TO PRIVATE DECK AND A WONDERFUL UPSTAIRS WITH 2 GUEST BEDROOMS AND ADDITIONAL FAMILY ROOM. ENJOY THE CONVENIENCE OF LIVING IN THE PRESTIGIOUS JUPITER HILLS WITH 24/7 MANNED SECURITY AND THE EASE OF A TOWNHOME WITHOUT THE FUSS OF A SINGLE FAMILY HOME. THIS TOWNHOME IS PRICED VERY WELL AND THE BEST VALUE INSIDE JUPITER HILLS. 11936 Se Birkdale Run located in Tequesta, FL is a townhome with 4 bedrooms, 4 full baths and 1 half baths.The Townhome at 11936 Se Birkdale Run was built in 1998 in Jupiter Hills and offers a 2.5 car garage. This Jupiter Hills Townhome offers pool, golf course, clubhouse. 11936 Se Birkdale Run Tequesta, Fl is currently listed for $899,999 under the MLS# RX-10364616. This Townhome has been put on the Tequesta MLS system and currently has a status of SLD. Information in regards to Tequesta real estate and Jupiter Hills Townhomes for sale or any other areas may have come from a cooperative data exchange service. All rights reserved. Information deemed to be reliable but not guaranteed. The data relating to real estate for sale on this website comes in part from the IDX Program of the Florida Regional MLS. Listing broker has attempted to offer accurate data, but buyers are advised to confirm all items. We provide all information about Tequesta Townhomes for sale and Jupiter Hills real estate and all other site listings as is with absolutely no warranties. This site will be monitored for 'scraping' and any use of search facilities of data on the site other than by a consumer looking to purchase real estate, is prohibited. Feel free to contact our agents to find a great Jupiter Hills Tequesta specialist.